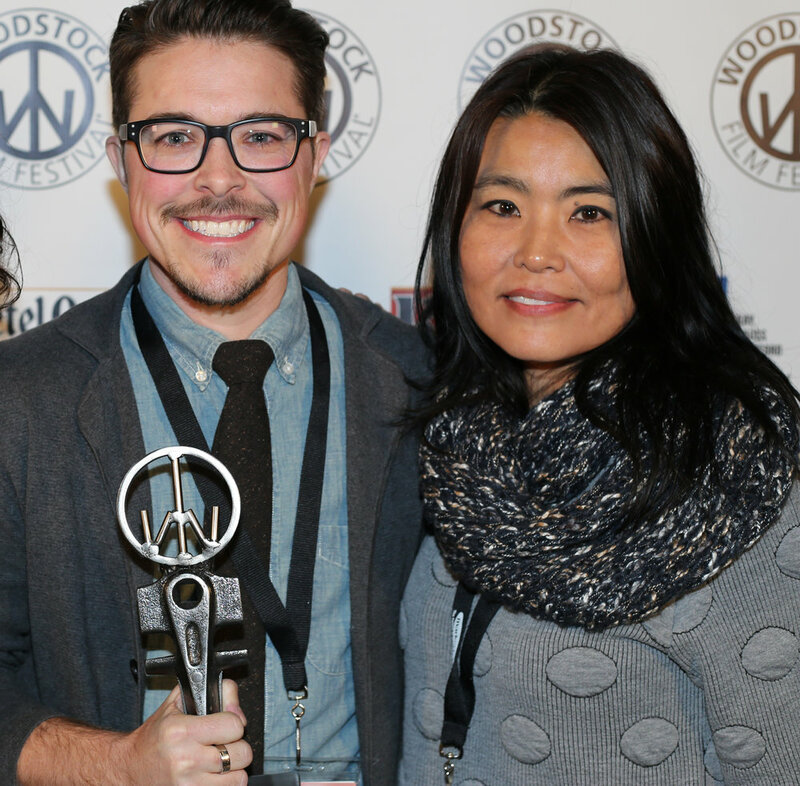 The 18th Annual Woodstock Film Festival is now open for submissions. Film categories include narrative & documentary features, shorts, animation, music videos, and teen films. The early bird deadline is April 9. Submit your film now before the price goes up! Other awards include Best Animated Short, the Tangerine Award for Best Female Director, the Ultra Indie Award sponsored by Gray Krauss Statford Sandler Des Rochers LLP and Black Magic Design, Carpe Diem Andretta Award, The James Lyons Editing Awards, the Haskell Weller Cinematography Award. Award winners also receive a beautiful hand crafted trophy and in-kind prizes. Submit your film at Woodstock Film Festival.com or Without a Box or FilmFreeway. On Wednesday, May 24, the 5th Annual Taste of Woodstock will celebrate the culinary diversity and delicacies that the region has to offer. Last year had over 20 participants including Bistro-To-Go, Bread Alone, Catskill Mountain Pizza, Cheese Louise, Cucina, Garden Cafe, The Green Palate, Landau Grill, Lenny Bee Productions, Mountain Gate Indian Restaurant, New World Home Cooking, Oriole 9, Peace Love & Cupcakes, Provisions Woodstock, The Reservoir Inn, Santa Fe Woodstock, Shindig, Sunflower Café, The Tea Shop of Woodstock, Woodstock Yoga (for stress busting, cookies & kombucha), Woodstock Wine & Liquors, Woodstock Meats, and Yum Yum Noodle Bar. Guests arrive at the Film Center at 13 Rock City Road and receive a walking map listing the restaurants as well as a voting card to pick their favorite dishes. Guests mingle with each other while sampling wine, beer, and other beverages with the backdrop of a smooth jazz soundtrack and a welcoming atmosphere. With the Film Center as home base, guests are free to walk about town at their leisure and delight their palates with an incredible variety of food and drink. Taste of Woodstock is always a massive success, and we hope you'll join us for round 5. Jeremy Wilber, 66, Woodstock's long time town supervisor, passed away January 1 after a battle with cancer. An aspiring actor and writer with a flare for the arts and a love for the town which he served for many years, Jeremy has always been a friend to the film festival. In 2014 he officially declared the week of October 13th to October 19th (the 15th anniversary of the festival) "Woodstock Film Festival Week" on behalf of the Hudson Valley township. A memorial service on January 8th brought hundreds of Woodstockers; artists; poets; politicians and family members together for storytelling, live music, laughter and tears and an outpouring of love and respect for the man who has called Woodstock his home for nearly his entire life. Earlier this summer, after a trip to China, Jeremy connected the film festival with the Looking China Youth Film Project, an initiative of the Beijing Normal University from China. His hope was to tie the filmmaking community there with the film festival here. We will try and honor his wishes and build on that connection. Thank you for your many years of leadership and service, Jeremy. Rest in peace. Woodstock Film Festival alumni and films with Hudson Valley connections make waves with awards, screenings, films in wide release, and more. Congrats to longtime friend of the Woodstock Film Festival Amy Hobby on being named as the new Executive Director of the Tribeca Film Institute! "In her new role at TFI, Hobby will oversee all programming at the year-round nonprofit arts organization, which provides funding for filmmakers and has awarded more than $6.7 million to around 1,500 filmmakers globally through its Tribeca All Access program. Hobby previously spearheaded the expansion of the 14-year-old program, which is designed to support underrepresented artists and filmmakers. 'We’re trying to expand the program to have a more global presence and bring those filmmakers to meet with the U.S. industry,' Hobby told IndieWire in an interview. In addition to bringing filmmakers to its annual Network event, a three-day co-production market that takes place during the Tribeca Film Festival, TFI also aims to grow its filmmaker workshops around the world, having already established filmmaker labs in countries like Dubai, Laos and throughout Latin America. Amy has been friends with the Woodstock Film Festival for years and has participated in many different capacities: as a juror, panelist, sponsor and filmmaker. We wish her the best in her new position. ABOUT SCOUT is now streaming on Netflix. ABOUT SCOUT screened at the 2015 Woodstock Film Festival. "Despite a disregard for convention and lax parenting, rebellious 15-year-old Scout is willing to risk everything for her little sister. When this charming con-artist enlists a wealthy mental patient to help her find Lulu, we embark on a road trip across Texas in search of their estranged carnie father who has kidnapped his young daughter. The characters in this film are as unpredictable as the story. Twenty-one-year-old India Ennenga as Scout and child star Onata Aprile (What Maisie Knew) as Lulu are supported by a stellar cast: James Frecheville as the convincing suicidal side-kick, Jane Seymour as his overbearing mother, Danny Glover as the misleadingly menacing Red, Tim Guinee as the malevolent dad, Nikki Reed as his religious zealot wife, and Ellen Burstyn as sympathetic but erratic Gram. In spite of its wit and dysfunction, at its heart, Scout is a touching tale of deep sisterly bonds and two misfits who come together to create a new kind of family." Check out BARRY, directed by 2011 Woodstock Film Festival alumni Vikram Gandhi (KUMARÉ). DEEP RUN screened at the 2015 Woodstock Film Festival. "Beginning this week a 55-minute version of DEEP RUN will at last be available to the wider public on TV, with the acclaimed series Reel South. It will be broadcast on dozens of public television stations across the country through January and February. We ask that you please help us spread the word by sharing our broadcast news from our Facebook page! If you live in North Carolina or South Carolina and have access to UNCTV and SCETV, you will be the first to get a peak on January 12. Check their online schedules for precise times. We will then premiere January 15, 9pm EST on World Channel, which airs on almost 80 public television station, or roughly 60% of such stations in the country. You can visit the World Channel's site to find out more details, or find your local channel and check schedules. If your local public station does not carry World Channel, not to worry, the movie is being actively booked at other stations for February air dates, which we will announce on our Facebook page as they are confirmed." Big congrats to Oren Moverman, our 2016 Fiercely Independent Award recipient, on the upcoming premiere of his new film, THE DINNER at the Berlin International Film Festival in February 2017. The film is then scheduled to be released on May 5, 2017, by The Orchard. THE DINNER is the story of two families who, over the course of a single meal, struggle with the most difficult decisions of their lives. Starring Richard Gere, Rebecca Hall, Laura Linney and Steve Coogan. We are delighted to announce that this wonderful film, which won the Audience Award for Best Narrative Feature at the 2015 Woodstock Film Festival (then titled GOOD OL' BOY), opens in theaters on February 3. Mark your calendar and spread the word. "The year is 1979, when life was simpler but families were still complex, and an Indian family moves to America hoping to live the American Dream. 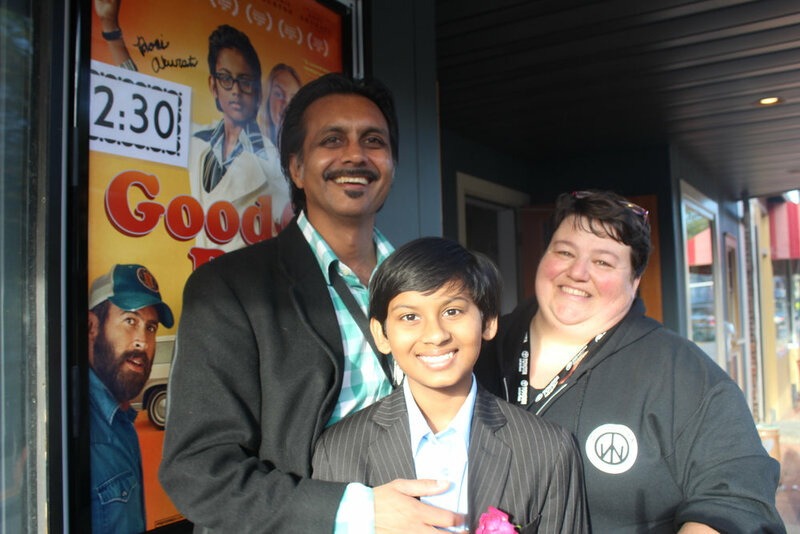 Reminiscent of THE WONDER YEARS, GOOD OL' BOY is an endearing coming-of-age story, where 10-year-old Smith falls for the girl next door and is caught between his family's Hindu traditions and his desire to become a "good old boy." While the children and their stories take the lead, GOOD OL' BOY challenges the stereotypical notion of both traditional Indian and predictable redneck families as the patriarchs help tell a compelling tale of the struggles of parenthood and married life for anyone of any race or background." THE HANGMAN: SHEPHERDS AND BUTCHERS had its US Premiere at the 2016 Woodstock Film Festival where it won the Gigantic Pictures Feature Narrative Award and the Haskell Wexler Award For Best Cinematography. This critically acclaimed courtroom drama is also the winner of the Berlin International Film Festival 2016 Panorama Audience Award. "Two-time ACADEMY AWARD® Nominee Steve Coogan* gives a powerful performance in this critically acclaimed courtroom drama inspired by true events. When a jaded lawyer (Coogan) takes on 19-year-old Pretorian prison guard Leon Labuschagne’s (Garion Dowds) seemingly hopeless murder case, South Africa’s capital punishment system is as much on trial as the defendant. Andrea Riseborough also stars in this beautifully filmed, emotionally searing, thought-provoking drama." THE HANGMAN: SHEPHERDS AND BUTCHERS arrives on Digital HD on January 24 and on DVD January 31, 2017. Check out actor Natalie Portman's tour de force in producer Darren Aronofsky's JACKIE, at a theater near you. The film was directed by Pablo Larraín, whose film Neruda screened at the 2016 Woodstock Film Festival. Oscar-nominated director and writer Darren Aronofsky received the Honorary Maverick Award at the 2014 Woodstock Film Festival. Aronofsky was presented this award by Academy Award Winners Natalie Portman (BLACK SWAN, JACKIE) and Jennifer Connelly (A BEAUTIFUL MIND), who he directed in his most recent films, Noah and previously in Requiem for a Dream. "JACKIE is a portrait of one of the most important and tragic moments in American history, seen through the eyes of the iconic First Lady, then Jacqueline Kennedy. Jackie places us in her world during the days immediately following her husband's assassination. Known for her extraordinary dignity and poise, here we see a portrait of the First Lady as she fights to establish her husband's legacy and the world of 'Camelot' that she created and loved so well." Jennifer Connelly, Darren Aronofsky, and Natalie Portman at the 2014 Woodstock Film Festival. LEE'S 88 KEYS, the documentary film about legendary Jazz pianist Lee Shaw is now streaming live on Amazon Prime in the USA, UK, Germany, Australia and Japan. It is sure to be worldwide and streaming on other cable platforms soon. LEE'S 88 KEYS screened at the 2015 Woodstock Film Festival. "You may not know her name, but 88-year-old jazz pianist Lee Shaw is a legend among musicians. She was coveted by Lionel Hampton (but declined an invitation to join him), tutored by Oscar Peterson, and her current trio boasts Hudson Valley homeboys Rich Syracuse on bass and Jeff Siegel on drums. Shaw fell in love with the piano at age 5, and director Susan Robbins's bio-pic, LEE'S 88 KEYS, comes alive with recollections of Shaw first hearing music and learning to play, on to becoming a bona-fide musician. The story is rich with music, history and a multitude of anecdotes and accolades from fellow musicians, former students (including local luminary John Medeski), and friends. Shaw has struggled with being a woman in a male dominated field, the financial challenges of pursuing a musical dream, and the conflict of her ever-sharp mind residing in an aging vessel. Indomitable, she is driven by her love of music and passion for jazz. Experience that passion in LEE'S 88 KEYS." Congrats to LIFE, ANIMATED on its recent television premiere through A&E and its well deserved nominations for a Director's Guild of America award and a Producer's Guild of America award. LIFE, ANIMATED screened in a special screening through the Woodstock Film Festival at Upstate Films back in June. Director Roger Ross Williams was on site for a Q&A. Roger Ross Williams also participated in the Woodstock Film Festival last fall, where he was a member of the Documentary Jury and engaged audiences in the "Telling Their Stories" Panel. "Produced by A&E IndieFilms and Motto Pictures, "LIFE, ANIMATED" is the story of Owen Suskind, a young autistic man who as a boy was unable to speak until his family found a way to communicate through classic Disney movies. Using unconventional interview techniques and three different types of original animation, Williams brings Owen's journey to the screen, exploring how his empathy for Disney animated characters gave him the means to understand his feelings and to interpret reality. Williams's film is triumphant portrait of human resourcefulness - and indeed - what it means to be human." Check out LIFE, ANIMATED on demand, on iTunes, and in select theaters. Hudson Valley resident Declan Baldwin is credited as executive producer and unit production manager on this critically acclaimed drama. Other Hudson Valley credits include set decorator Amy Teitter and local assistant director trainee Derek Ravita, who worked as a production assistant. MANCHESTER BY THE SEA stars Casey Affleck as Lee Chandler, who is shocked to learn upon his older brother’s death, that he has been made sole guardian of his nephew Patrick (Lucas Hedges). Taking leave of his job as a janitor, Lee reluctantly returns to Manchester-by-the-Sea to care for Patrick, a spirited 16-year-old, and is forced to deal with a past that separated him from his wife Randi (Michelle Williams) and the community where he was born and raised. Bonded by the man who held their family together, Lee and Patrick struggle to adjust to a world without him. Barry Jenkins' debut film MEDICINE FOR MELANCHOLY screened at the 2008 Woodstock Film Festival, where it received Honorable Mention for the Lee Marvin Best Feature Narrative Award. Barry's new film MOONLIGHT, is a timeless story of human connection and self-discovery. It chronicles the life of a young black man from childhood to adulthood as he struggles to find his place in the world while growing up in a rough neighborhood of Miami. At once a vital portrait of contemporary African American life and an intensely personal and poetic meditation on identity, family, friendship, and love, MOONLIGHT is a groundbreaking piece of cinema that reverberates with deep compassion and universal truths. Anchored by extraordinary performances from a tremendous ensemble cast, Jenkins’s staggering, singular vision is profoundly moving in its portrayal of the moments, people, and unknowable forces that shape our lives and make us who we are. MOONLIGHT won the Golden Globe for Best Drama Motion Picture and is one of the most acclaimed films of the year. Congratulations to PAINT IT BLACK on their exciting acquisition! Imagination Worldwide has acquired the film and is planning an April release. The film had its East Coast Premiere at the Woodstock Film Festival this past fall, with first time director Amber Tamblyn in attendance for Q&A as well as a speaker on our Women in Film panel. Congrats to Amber as well as to the film's producers Wren Arthur, Amy Hobby and Anne Hubbell. PAINT IT BLACK will hit theaters this April. "First time director Amber Tamblyn, an actress herself, understands the importance of performance. In this character-driven drama, two vastly different women share the same unforeseen loss. In their riveting roles, 21-year-old grunge Josie has lost her lover; wealthy, elegant classical pianist Meredith has lost her son. In a story that mines the depth of grief, we witness an amazingly wide range of responses: anger, confrontation, deep mourning, anguish, dissipation, manipulation, neediness -- all played with such finesse that we feel totally invested in the trials of both women. Watching Josie deal with crushing grief, displacement and hopelessness is heartbreaking. And beneath Meredith's villainess there is so much raw emotion it's impossible not to emphasize. Cinematography parallels the mood brilliantly, from the tiny, over-decorated, wacky studio where Josie shared her life with Michael, to black and white indulgences of dark fantasy, to the eerie mansion where Meredith lives in sad solitude, we do indeed "paint it black." But at the last moment, a light begins to shine in." STRAY BULLETS, a low-budget crime drama from 16-year-old Jack Fessenden, son of indie-film vet Larry Fessenden, is out February 10. The younger Fessenden stars in the film alongside Asa Spurlock. The two play a pair of teenage boys tasked with cleaning out their father’s old mobile home on an abandoned property, only to find that three cons on the run (James Le Gros, John Speredakos, Larry Fessenden) are using the trailer for a hideout. STRAY BULLETS was produced in the Hudson Valley and had its North American premiere at the 17th annual Woodstock Film Festival. Pamela Yates screened her film REBEL CITIZEN at the 2016 Woodstock Film Festival. REBEL CITIZEN illuminates the political documentary work of legendary documentarian and friend of the Woodstock Film Festival, Haskell Wexler. 500 YEARS will have its world premiere at the Sundance Film Festival. Eliza Hittman screened her film IT FELT LIKE LOVE at the 2013 Woodstock Film Festival. It was her first feature film and was released to many accolades, such as being voted one of the Top Ten films at Sundance in Film Comment by Laura Kern. BEACH RATS will have its world premiere at the Sundance Film Festival, where it will compete in the U.S. Dramatic Competition. Director/Co-screenwriter Dee Rees is a part time resident of the Hudson Valley. MUDBOUND was edited in the Hudson Valley by editor Mako Kamitsuna, who was one of the 2016 Woodstock Film Festival's editing jurors. MUDBOUND will have its world premiere at the Sundance Film Festival. Shawn Christensen screened his short film CURFEW at the 2012 Woodstock Film Festival where it won our award for Best Short Film. The film then went on to receive the Academy Award for Best Live Action Short Film. Shawn returned in 2014 to screen his film BEFORE I DISAPPEAR in its New York Premiere. SIDNEY HALL will have its world premiere at the Sundance Film Festival. Rory Kennedy won the Best Documentary Feature award at the 2002 Woodstock Film Festival for her film A BOY'S LIFE. TAKE EVERY WAVE: THE LIFE OF LAIRD HAMILTON will have its world premiere at the Sundance Film Festival. Academy Award winner Barbara Kopple has screened many films at the Woodstock Film Festival; she was our 2006 honorary Maverick Award recipient and is a longtime friend of the Woodstock Film Festival. THIS IS EVERYTHING: GIGI GORGEOUS will have its world premiere at the Sundance Film Festival. WALKING OUT will have its world premiere at the Sundance Film Festival, where it will compete in the U.S. Dramatic Competition. Executive Director Meira Blaustein will be in attendance for what is sure to be a high-quality slate of diverse and thought provoking films. Shawn Christensen (right) with Paul Wesley at the 2014 Woodstock Film Festival. Director Alex Smith signs in at the 2013 Woodstock Film Festival.